New from Aladdin Lamp Company, this Aluminum table lamp features a Desert Sand Powder Coating. The Desert Sand coating is a beige/tan durable finish applied to the spun Aluminum lamp base (font). The powder coating is also applied to the fill plug. If you are looking for a rustic lamp that fits right in with a cabin, lodge, or hunting decor, this is your shelf lamp. In these settings, the Aladdin aluminum lamps shine, displaying their heritage of providing clean, quiet, dependable light without electricity. The #100011066 Desert Sand Aluminum Table Lamp measures 24" height, 6" base diameter. 1 quart kerosene capacity. This lamp is compatible with the 14" parchment shades from Aladdin. Simply put, the new MaxBrite 502 Kerosene Mantle Lamp burner from Aladdin Lamps is the most efficient and brightest burner created by Aladdin. Using the knowledge gained over the last 100 years of producing bright, white light from the unique mantle and round wick burners, paired with precise tooling and engineering available today, Aladdin Kerosene Mantle Lamp Company has created the MaxBrite 502. Aladdin Lamps produces 60 watts of bright, white light without smoke or odor. The unique round wick and mantle combination of the burner provides you with a steady, bright white light making it an ideal choice for power outages or off the grid living. The Aladdin Lamp uses K-1 kerosene, which is economical and easy to find. A quart of kerosene will provide you with approximately 12 hours of light. 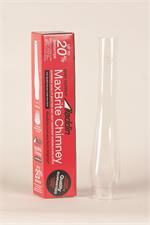 The Maxbrite 502 burner also produces around 2,000 BTUs per hour, providing heat as well. Coating applied in Ohio on imported materials.